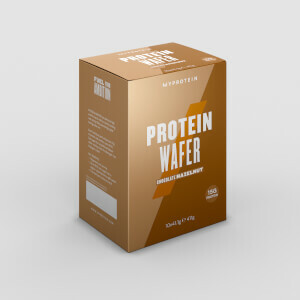 Say hello to the winner of ‘Best Protein Treat’ in the UK 2018 Men’s Health Sports Nutrition Awards. Our new high-protein alternative — with over 6g of protein and only 125 calories per serving to treat yourself and keep your training on track. Not just one, but two chocolate biscuits sandwiched together, with a fluffy, protein-rich cream layer in-between — the perfect afternoon pick-me-up. 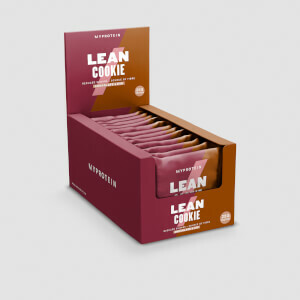 And, it’s convenient to have in the car, on your desk, or in your gym bag. 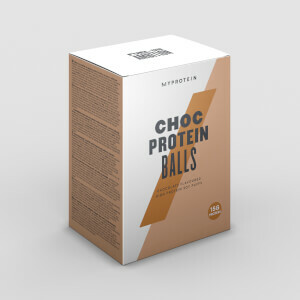 Plus, it’s packed with protein that help you grow and maintain important muscle1 — vital whether you’re on a squat session or sparring in the squared circle. 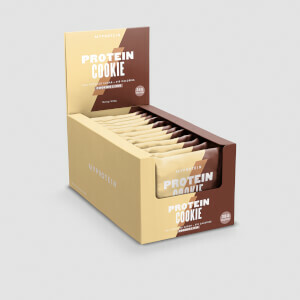 When to enjoy Protein Sandwich Cookie? Any time of the day to keep topped up on protein — our cookie is a sure-fire way to satisfy your sweet tooth. What to enjoy Protein Sandwich Cookie with? To increase the indulgence while boosting your protein intake, combine Protein Sandwich Cookies with our Protein Pancake Mix — starting your day with a sweet treat. Store in a dry place at a room temperature. Suitable for vegetarians. For allergens, see ingredients in bold. May also contain celery, crustaceans, fish, lupin, molluscs, mustard, nuts, peanuts, sesame seeds, soya and sulphur dioxide. Wheat Flour, Vegetable Fibre, Butter (contains Milk), Milk Proteins, Vegetable Proteins (Pea, Wheat), Vegetable Oil (Palm (no hydrogenated)), Lean Cocoa Powder (8%), Polydextrose, Fructo-oligosaccharide, Baking Powder (Raising Agents (Sodium acid pyrophosphate, Sodium bicarbonate), maize starch]), Egg White, Thickener (Carragheenan), Sweeteners (Sucralose, Acesulfame K , Erythritol) , Acidity Regulator (Tartaric Acid), Flavourings, Salt, Antioxidant (Alpha-Tocopherol). Pretty good. The cookie is more crunchy than soft and there isn't too much cream, but for the macros and calories these biscuits are pretty decent.